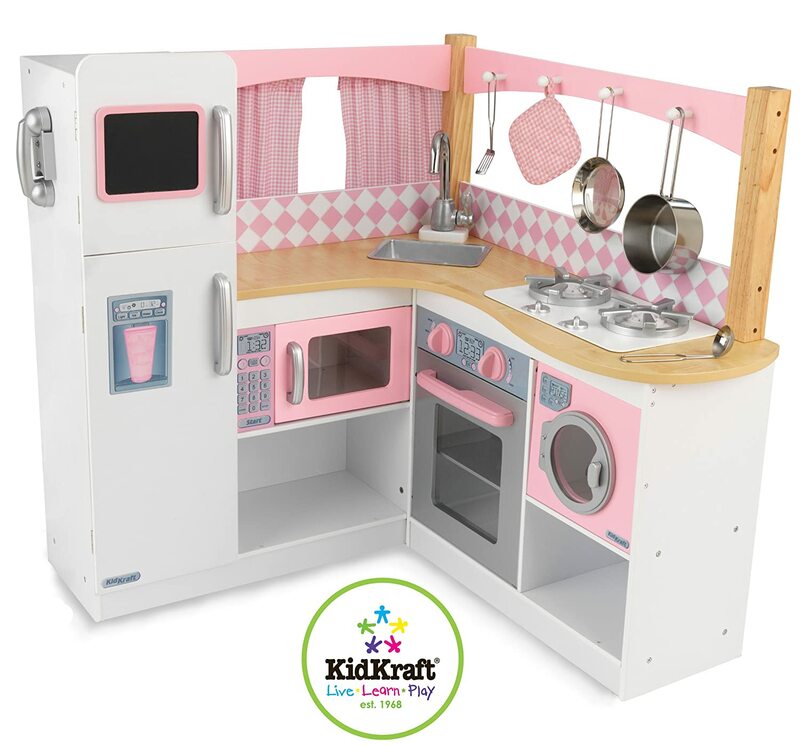 KidKraft Kitchen Playsets - Kids Pretend Kitchen Sets! 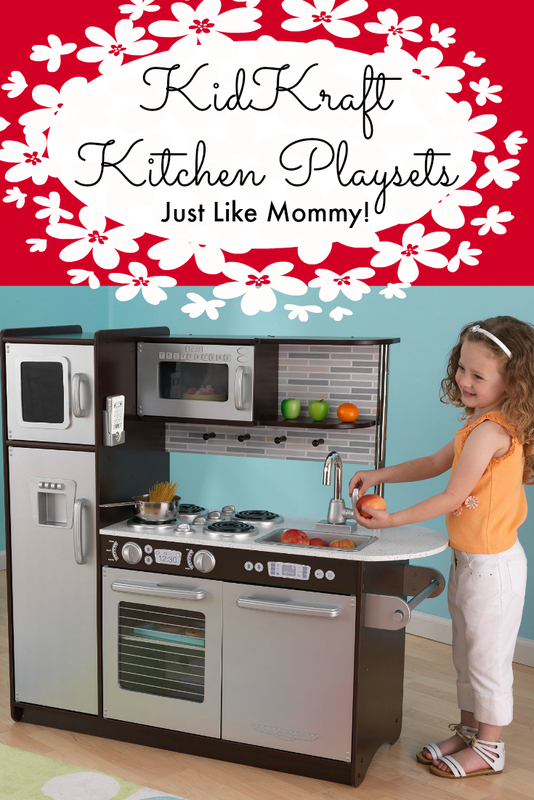 Home > Toys > KidKraft Kitchen Playsets – Kids Pretend Kitchen Sets! 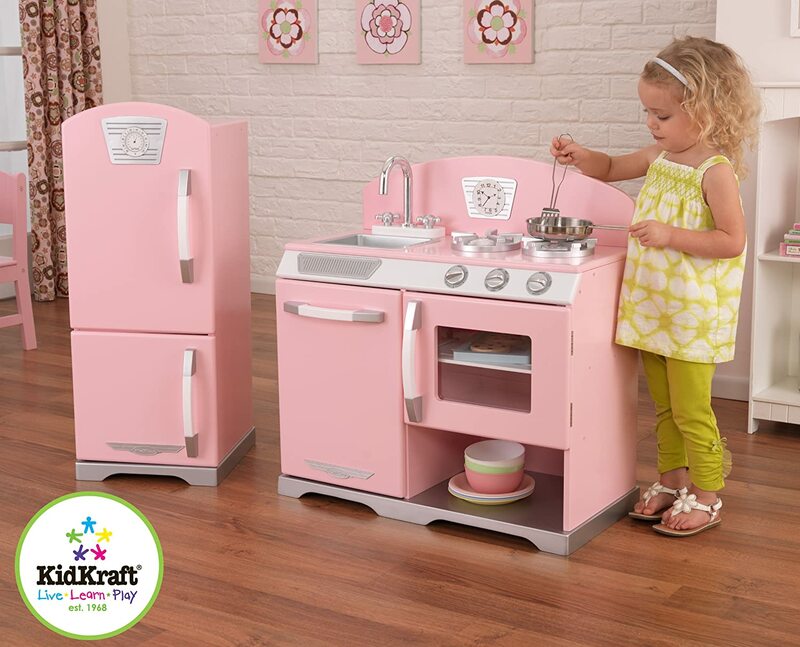 Kid’s Pretend to Cook just like Mommy with Their Very own KidKraft Kitchen Playsets. 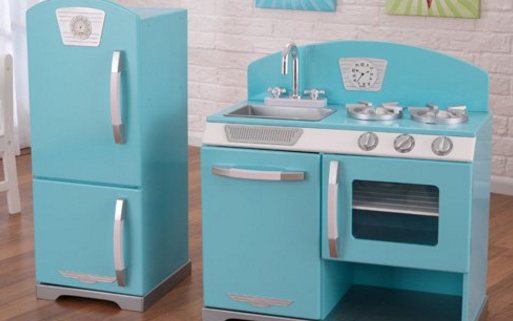 Kidkraft Kitchen Playsets come in a modern, sleek look or you can choose a very vintage look. I love them both, so this would be a hard choice for me. I am a sucker for vintage anything, so I would probably go with vintage. 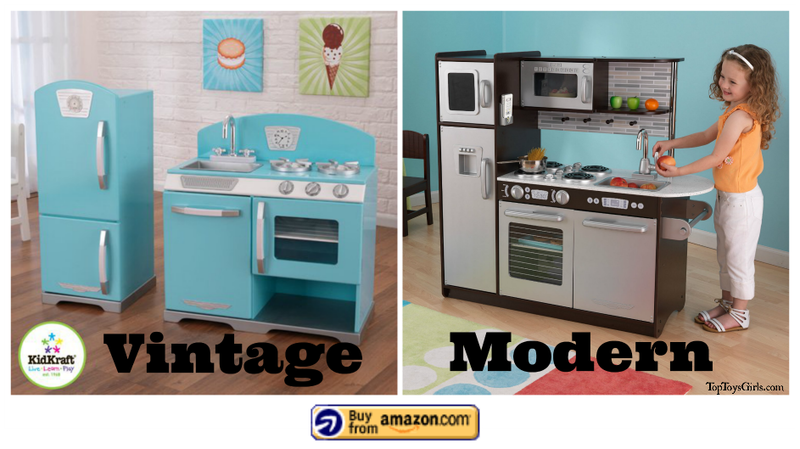 I am surprised to see how modern and updated kids pretend kitchen sets have become since my kids were little. 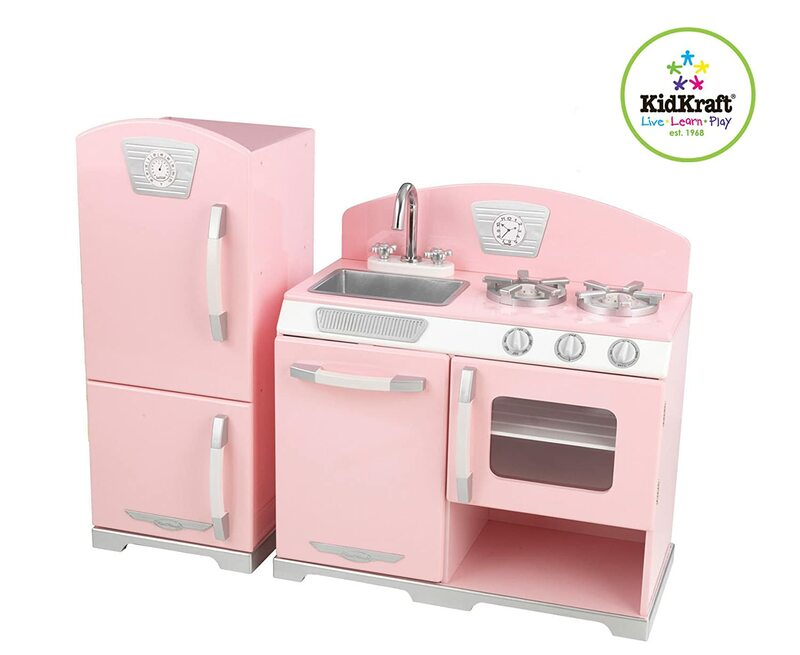 But I guess I shouldn’t be since KidKraft is a proven leader in the world of wooden toys and furniture, with over 40 years of experience. By now they know what they are doing and what kid’s and parents want in toys. You can trust that the toys are safe and sturdy. 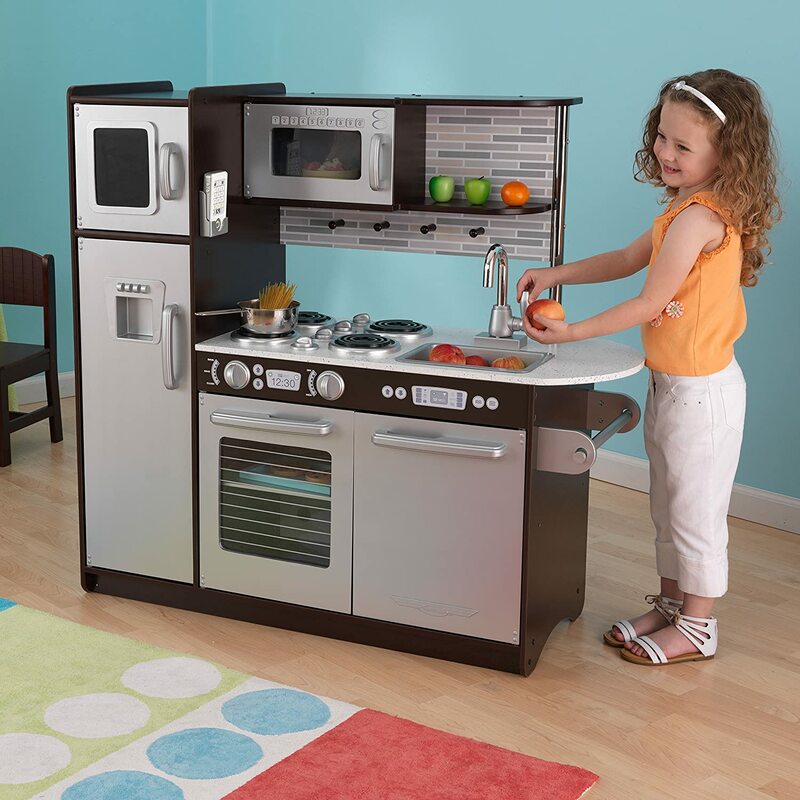 Whether you need a big children’s kitchen playsets or a small one, you will find what you want here and you can be sure it will stand the test of time. Refrigerator, oven and stove top, dishwasher and kitchen sink. 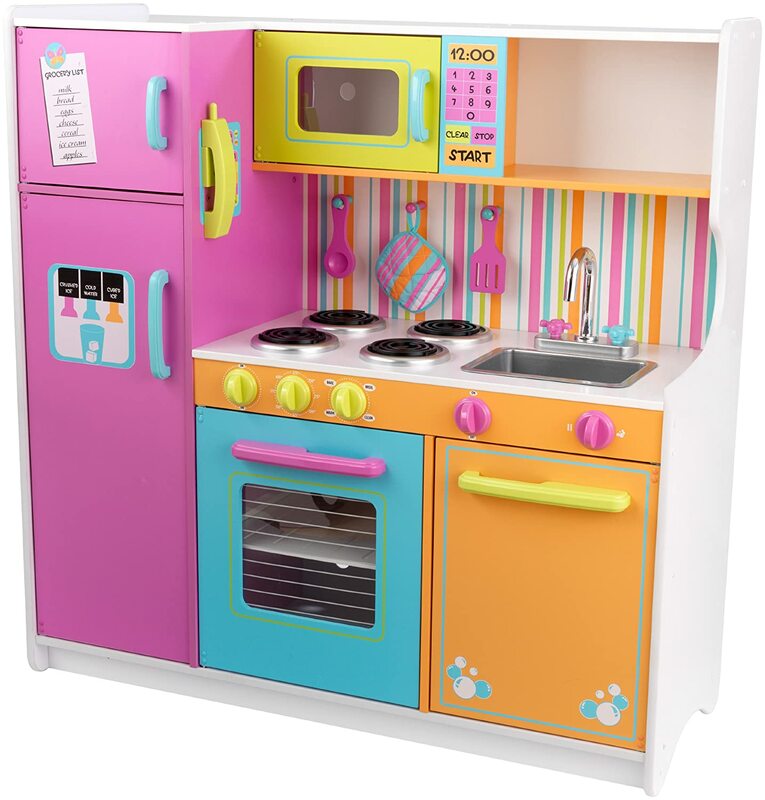 The stove is 25.9″ long x 14.2″ wide x 26.7″ tall. The fridge is 12.3″ long x 14″ wide x 31.3″ tall. 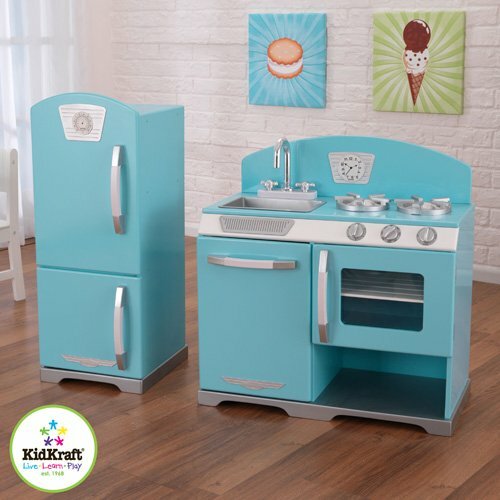 The KidKraft 2-Piece Retro Kitchen in blue is vintage all the way. But it comes in pink. 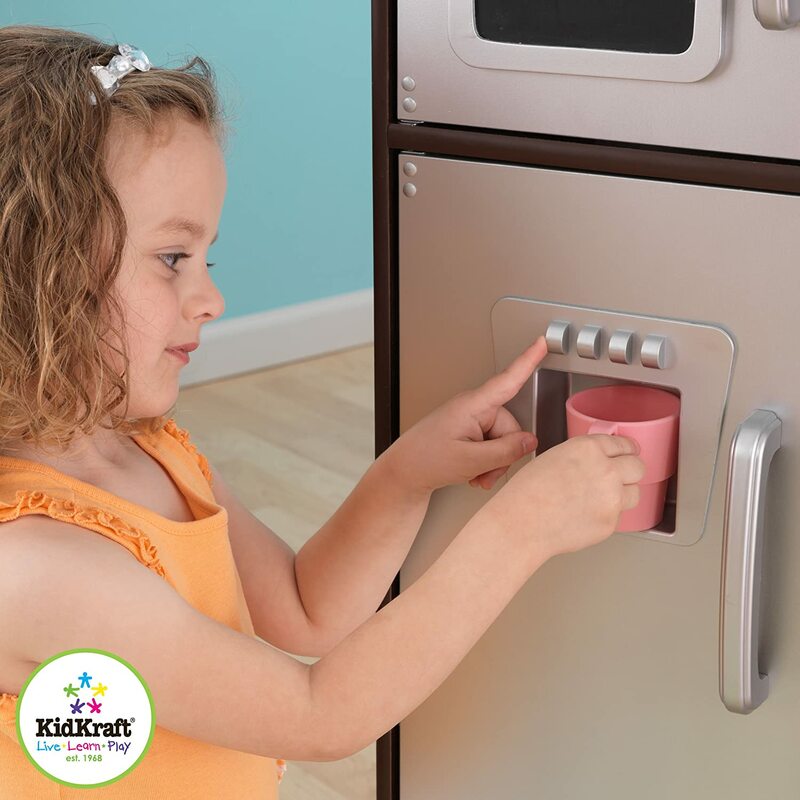 The knobs work and there is plenty of room in the refrigerator and stove to be able to cook and create masterpieces. It has a removable sink for easy clean up. Assembly is required. The instructions are straight forward and the pre-drilled holes for the dowels/screws. This modern day kitchen is packed with impressive details that will stand out in any room. 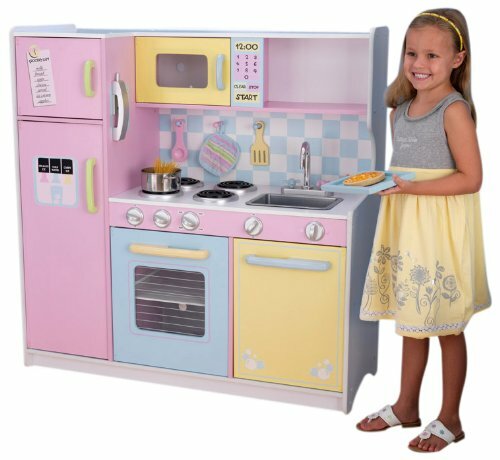 The kitchen measures 42.5″ long x 17.1″ wide x 41″ tall. It features a refrigerator, freezer (with an ice machine), microwave, oven and dishwasher with doors that open and close. There is a chalkboard surface on the freezer door for notes or grocery list. 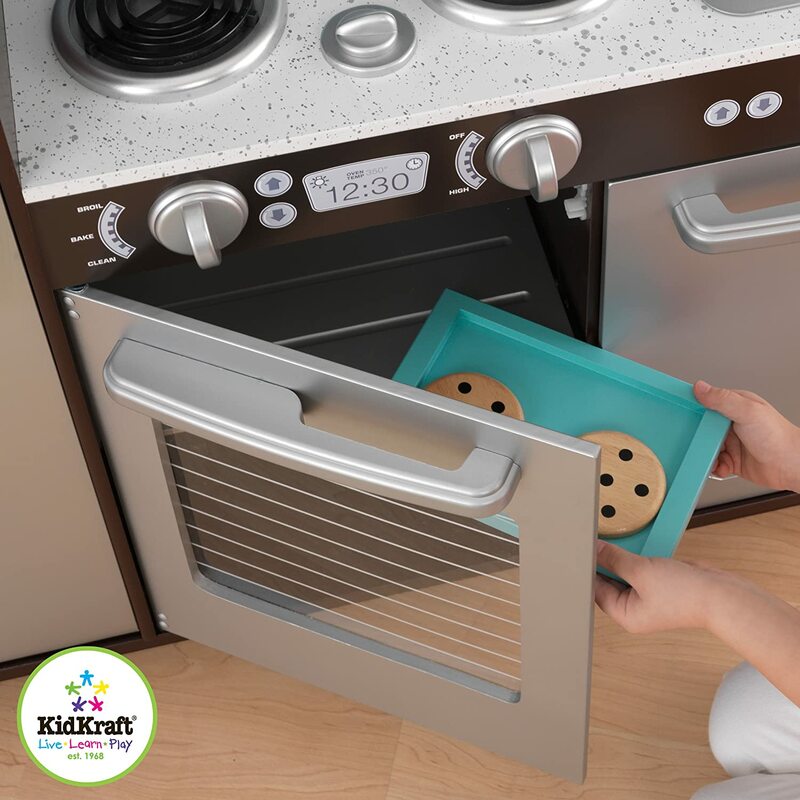 With a paper towel holder on the side, little ones can clean up messes any time they have one, even if they are pretend. There is a cordless phone for easy access to talk to their best friends while making dinner. The stove has 4 raised burners that will fits bowls, plates and pans. The knobs click when you turn them, just like the real thing. 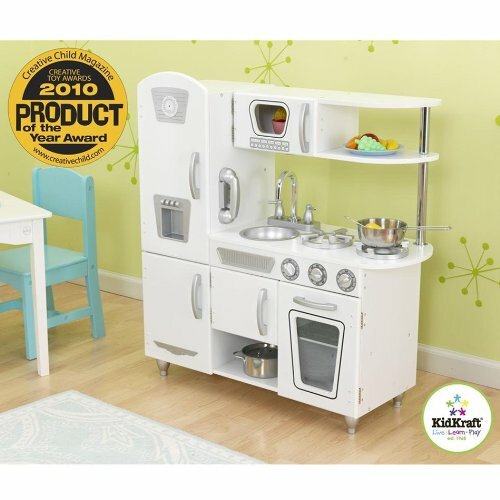 Of course, since it comes from KidKraft, you know it will be well made and sturdy. 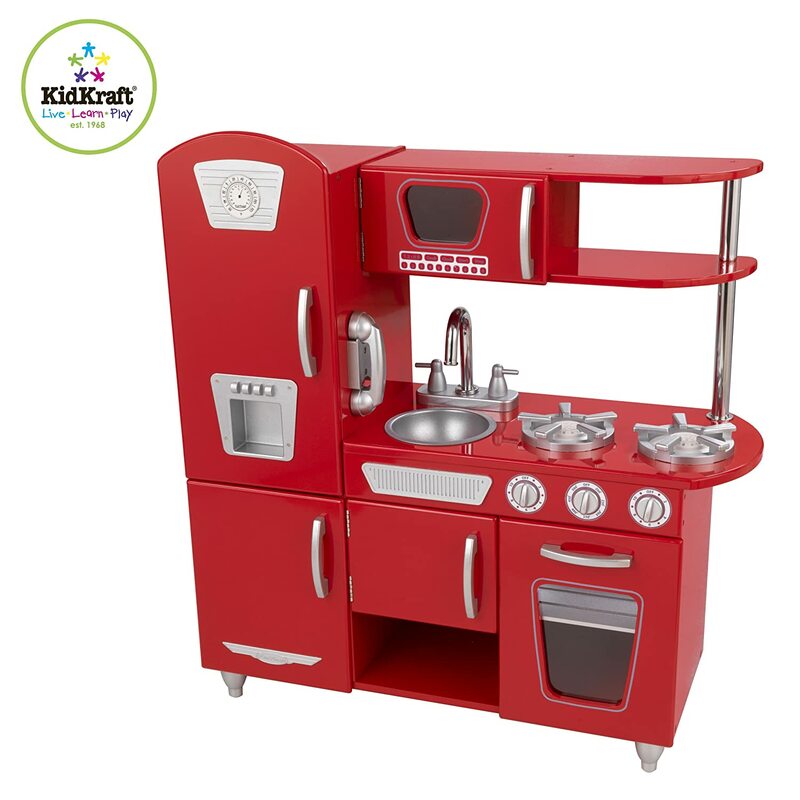 It is not easy to choose children’s kitchen playsets from KidKraft. It’s a good thing they give you lots of options. I usually want to get the biggest one they have, but I have to consider space too. Since my grand children don’t live near me, I want to be able to slip it in a closet or some place out of the way. 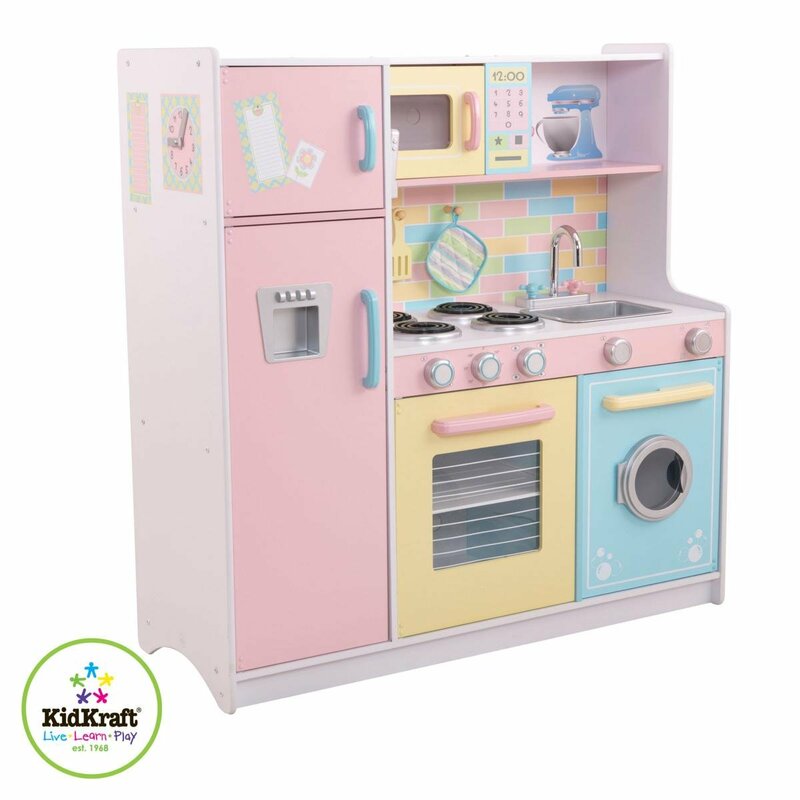 KidKraft has it all.